The closely guarded formula for Coca-Cola is stored in a bank vault that can only be opened by a resolution of the company’s board of directors. Only two Coca-Cola employees ever know the formula at any one time, and their identities are not made public. Also in a bank vault is the formula for Water Displacer 40th attempt – commonly known as WD40. The formula has only been removed from that location twice, during a 50th anniversary celebration and during a bank move. KFC’s fried chicken recipe is kept in a Louisville, Kentucky safe. To keep the entire recipe secret, one company mixes part of the spice recipe, and another one blends the rest, so that neither party has the entire recipe. Bimbo Bakeries USA, makers of Thomas’ English Muffins, filed a trade secret lawsuit to prevent an employee from going to work for a competing baking company. These are a few examples of the trade secrets of large, well-known companies, but companies of all sizes can have sensitive information that they want to keep private. Trade secrets can be defined as any information that is valuable and unique to your business and that is not known to people outside your business. These business secrets can be protected under both state and federal law. However, in order to gain this protection, you must adhere to the following rules. Depending on your business, trade secrets can include everything from customer lists, to techniques, to recipes. Some may be obvious trade secrets and some may be less obvious. The first step to protecting these secrets is to identify what they are and why they need to be safe guarded. Create a list of ideas or processes that are unique to your small business. It may sound simplistic, but it is worth nothing that a trade secret is not a trade secret if the information is already known to the public. As a result, be careful about what information you give out willingly to clients and potential customers. Information that can be found on your packaging, on your website or posted on your company bulletin board is not confidential. Keep secrets safe by storing them in a locked place or limiting access to the electronic files that contain them. Use clear warning labels to deter thieves. This material (Item, document) contains confidential information owned by [YOUR COMPANY] and/or its affiliates. This material is protected by all applicable state law and federal law. You can’t expect your employees to know what information is confidential and what is not. You need to educate them. Restrict access to your trade secrets and explain to your employees the importance of keeping certain materials or processes confidential. Require that employees who have access to sensitive information sign a nondisclosure agreement (NDA) that bars them from sharing secret information both during employment and after employment ends. Make sure you include information in your employee handbook about trade secrets and the importance of NDAs to reinforce any employee training you do on the subject. 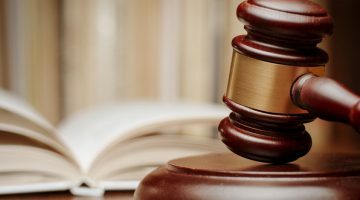 Usually, violators can be ordered to cease and desist from using the illegally obtained information (injunctive relief) and to pay monetary damages. These damages include any profits derived form the use or sale of the secret and attorney’s fees. Some intentional acts of trade secret theft may be considered criminal acts and therefore may result in severe fines and/or imprisonment. One of the problems with identifying a stolen trade secret is that some competitors may be able to just “figure out” or copy what you do without stealing the information. and you have followed the previous rules, you should contact your attorney. 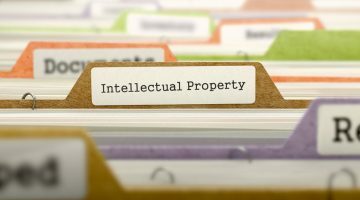 Since the laws protecting trade secrets can vary by state, a local attorney who specializes in Intellectual property (IP) cases will help you determine if you can press charges. The most significant federal law that involves the theft of trade secrets is the Economic Espionage Act of 1996. This act, which applies to thefts both within and outside the United States, gives the U.S. Attorney General the power to prosecute a person or company involved in the intentional stealing or receiving of trade secrets. Penalties include fines of up $500,000 for individuals and up to $5 million for corporations, as well as prison terms of up to ten years. All proceeds and property gained from the theft can be seized and sold by the government.